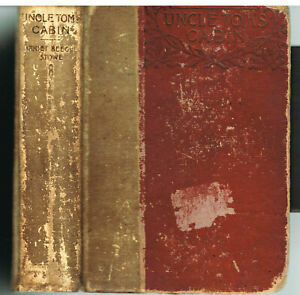 Antique Book Uncle Tom's Cabin Harriet Beecher Stowe J.H. Sears & Co. Details about Uncle Tom's Cabin by Harriet Beecher Stowe 1879 Antique Book! I accept Paypal, mailed payments. Payment is expected within three days of auctions end of through Paypal. If mailing payment, contact must be made within 3 days to notify me of your payment method. Mailed payments must be received within 7 days of auctions end. Non paying bidder alerts will be filed for non payment. PLEASE DO NOT BID IF YOU DO NOT PLAN ON PAYING! !